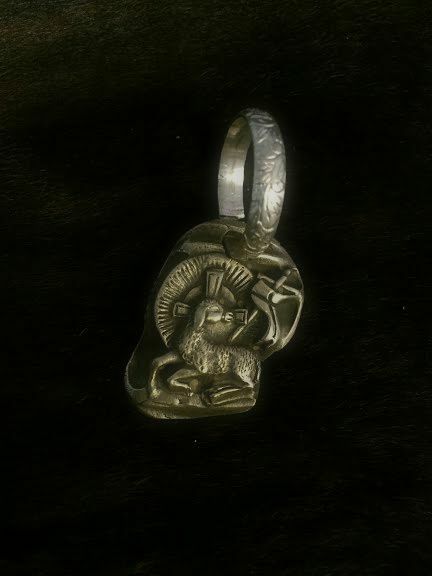 Description Solid bronze Lamb of God accented with large sterling silver patterned ring. The large ring allows you to put it on different pieces that you already have. Looks great on bracelets as well as your full pearl IJD Necklaces. Definitely catches the eye!